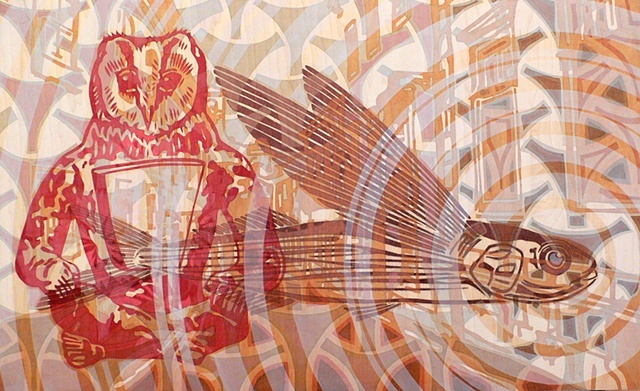 My interest in printmaking stems from the problem solving and adaptation necessary to make a successful print. 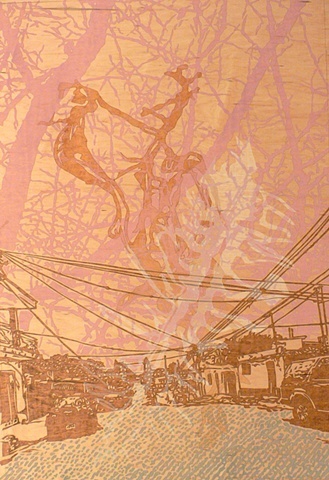 This visceral connection with process has led me to make singular objects inspired by traditional printmaking techniques. 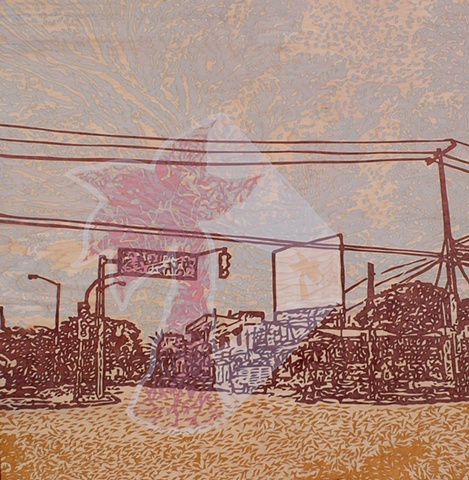 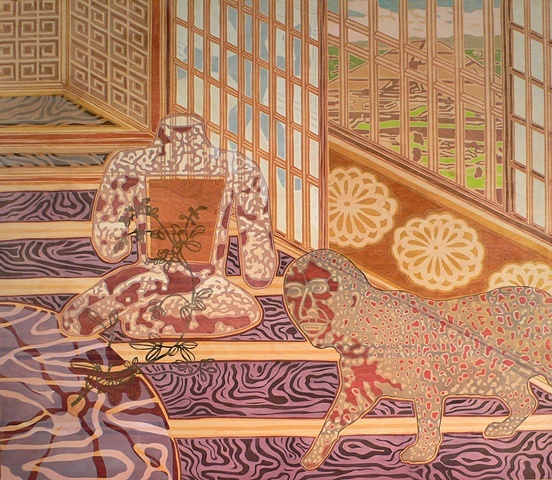 This work involves the hand application of layers of pigment, a method closest to French pochoir printing. 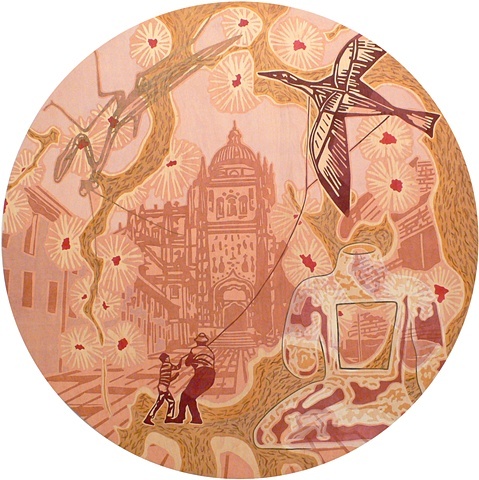 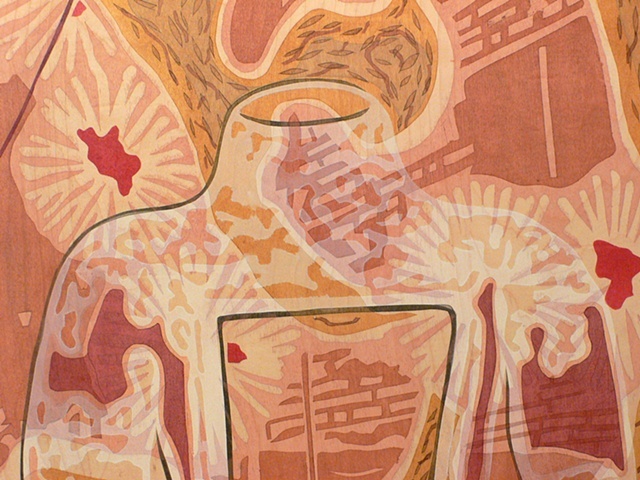 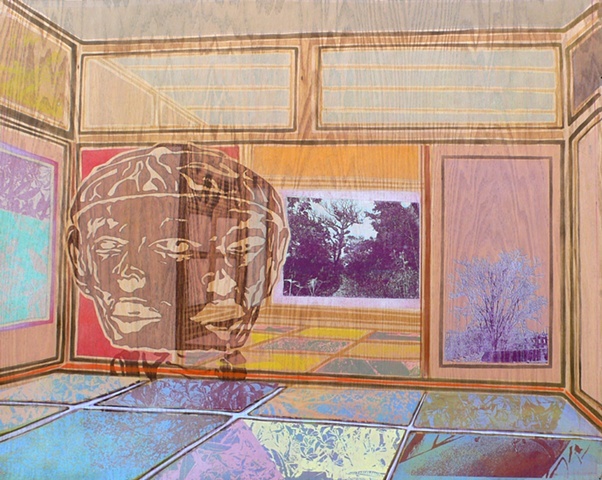 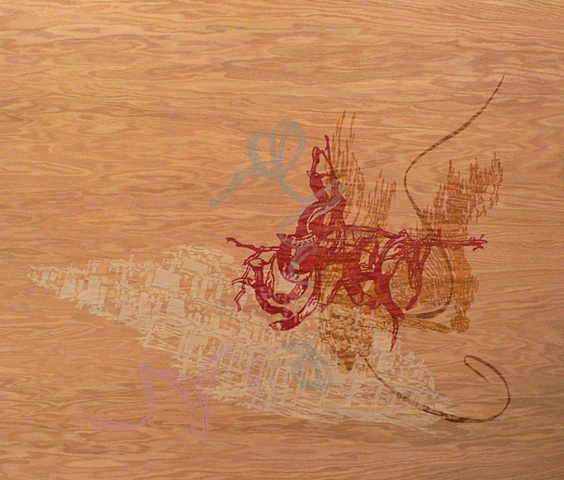 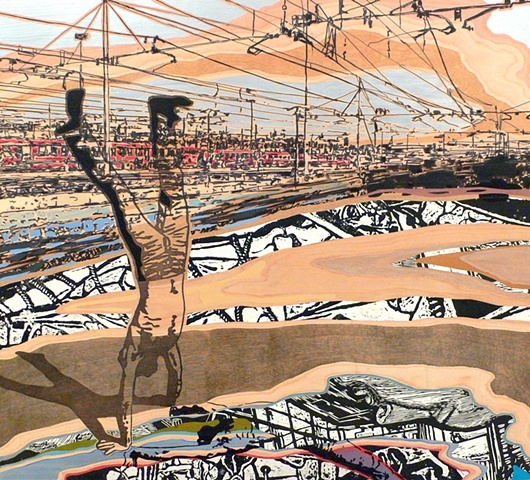 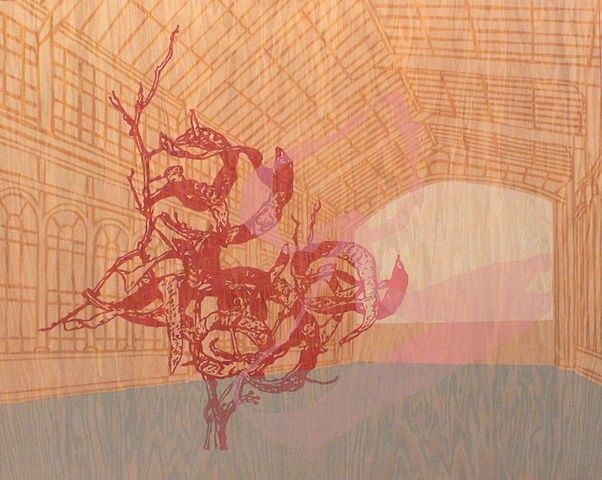 The images and forms in this work are developed with stain and single use stencils cut directly on the surface of the wood. 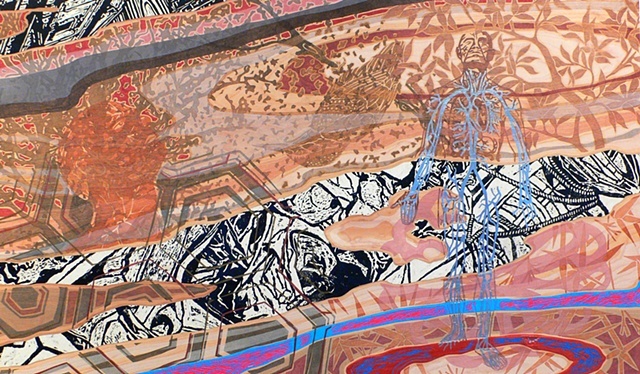 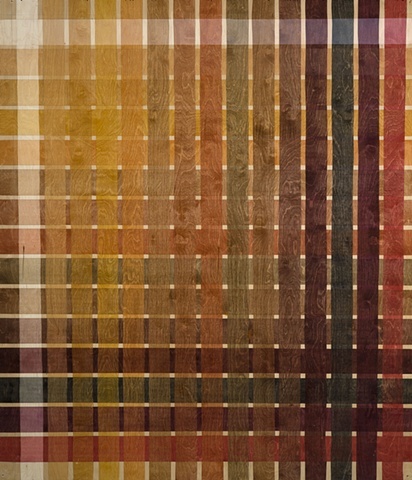 Each color is individually deposited onto the panel resulting in varnished paintings layered as silkscreens or woodcuts.